A web property is similar to real estate property in that someone owns them. When it comes to web property, that is obviously content and designs created by a person or company on domains, on social media and in the public online realm. Just like tangible property, a blog should grow in value over time, either in the number of people it reaches on a daily basis or in the amount of revenue it brings in. In the perfect world, it achieves both traffic and income goals. Deciding who owns an online property is usually pretty straightforward. Someone takes out a domain name registration and pays hosting fees. However, there have been some court cases that make it obvious that website owners need to be very careful to establish and maintain their ownership of a blog and the social media pages tied to that blog. It is common for employers to appoint someone in the company to create and maintain social media accounts. However, in the case of PhoneDog, the employee created the account and then kept it after his employment was terminated. PhoneDog argues that the social media account is the company’s intangible property while Kravitz argues that he created and built the social media page on Twitter and thus it is his. While you can appoint an employee to maintain your social media page, it is smart to create the initial account on your own to maintain ownership. Don’t tie an employee’s name to your social media pages. In this case, the account in question was called @PhoneDog_Noah. Had the company insisted on only @PhoneDog, the case might have been decided more quickly. In another interesting case, a company bought out a woman by the name of Eagle and employed her for some time. The LinkedIn account that Eagle was using was tied to both the company and her personal interests. When the two parties ended their relationship, Morgan seized control of the LinkedIn account and refused to let Eagle have control of it, stating that it was part of the company’s property and thus sold in the sale. 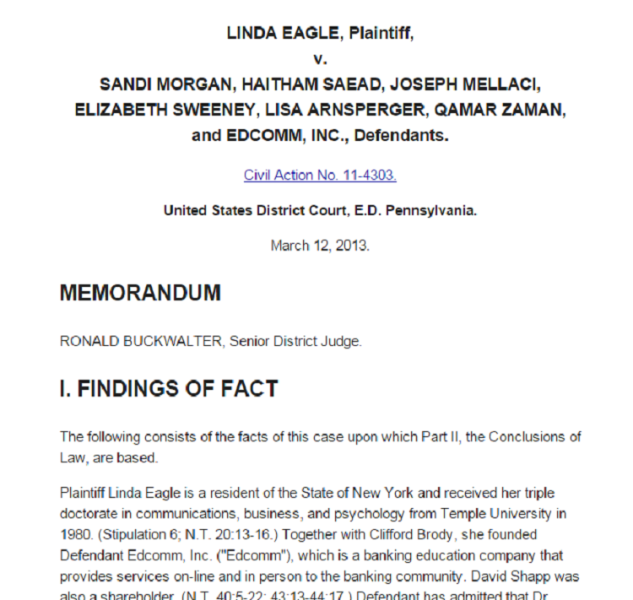 The decision in this case was interesting, because the courts found that Eagle indeed did own her LinkedIn account. However, they did not award damages as it was impossible to prove any loss of revenue because of the seizing of the account. Eagle’s biggest mistake was giving up control of her account by sharing her password with other employees who helped her accept connection requests and maintain the account. Don’t give anyone access to your personal or business accounts. If you do need help, change your password before you terminate their employment. If you are the employee, just politely decline to share this info. Although the courts found for Eagle, she lost months of connections and potential income due to be locked out of her accounts. Keep business and personal accounts separate, especially if you are working for someone else. Just How Valuable Is Your Website Property? While losing your social media accounts is frustrating, the true value of your online property is probably impossible to measure. Some of the most expensive websites in the world are valued in the millions. Still, if no one is willing to pay millions to buy the website, then that valuation does the owner little good. A few websites have sold for what they are worth, though. SEO.com – Purchased for $5 million. Toys.com – ToysRUs paid over $5 million for this domain in 2009. Hotels.com – This domain brought about $11 million back in 2001. VacationRentals.com – The founder of HomeAway bought the domain for $35 million simply to keep it out of competitor Expedia’s hands. While the domain name itself might be worth a bit of money, what is harder to measure is the value of the visitors that come to that site and the potential to convert them into customers. Just as in real estate, valuation may be different for everyone. How you measure your blog’s value depends upon what your goals are for your blog. In real estate, the value of a home is measured by the people seeking to buy that property. Once you understand the measurement with which you valuate your blog, then you’ll be better able to increase that value. Increase Visitors: Driving traffic to your blog can be easier said than done and is often the result of a number of different factors. One thing you will want to do is to increase word of mouth. Tell family and friends about your blog. Post links to social media. You will also want to read Vishnu Supreet’s post on Recommended SEO Plugins For Your WordPress Sites in 2015 to gain some additional ideas. Increase Sales Conversions: Getting visitors to your blog is only half the battle. If you want to monetize your blog, then you’ll need to get those readers to click on a newsletter subscription link or buy a product. Read Luana Spinetti’s very detailed guide on building conversions and loyalty titled 37 Elements of User Engagement – UX, Conversions, Loyalty for ideas on this aspect of your blog. Increase Ranking: The front search page in any Google search string could be called prime real estate. If your website isn’t ranking in the top five or six sites in your niche area, then you probably aren’t going to get much traffic from Google. Increasing your search engine rank is a difficult task. Google changes what they want on an almost daily basis, after all. One thing that works now and will likely work in the future, though, is to simply write excellent content. Increase Backlinks: If you don’t want to rely on Google or any other search engine for all of your traffic, then investing some time in building backlinks is smart. Some ways you can increase backlinks include commenting on other blogs (make sure your comment is useful and not spam), serving as a guest blogger, and trading links with others. Just make sure the sites linking to you are quality sites as well. In real estate, there is a five-year-rule that states you should sell your house and upgrade to a more expensive one every five years or so. This window allows you to make the most profit from your home and upgrade to a bigger one for less money. Over time, and after several upgrades, you will be in a larger home for a similar cost, assuming you roll your equity over each time. You can apply the upgrade cycle to your website as well, but remember that the Internet moves at warp speed compared to real life. It is probably best to upgrade your blog every six months to a year for maximum growth. Analyze your pages. Which are getting the most traffic? Which are getting the least? Should any be upgraded, revamped, or deleted? Add something new. One of the great things about buying a new house is getting that fabulous spa bathtub or an in-ground pool. How you can add a virtual in-ground pool to your website? What is new and cutting edge that you can add that no one else is doing yet? Add to your “family.” One of the perks up upgrading to a bigger house is the ability to grow the size of your family, have another baby, or move in an elderly parent. How can you add to your virtual business family? Should you hire a writer so you can create 10 blog posts a week instead of five? Maybe you need a PR specialist to help you promote your site? Look at ways to add to your family. 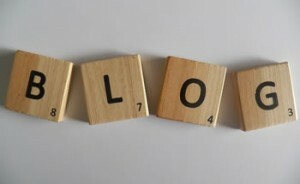 In many ways, a blog is like real estate. It is something you invest in and learn to love over time. By following these simple rules, you’ll be successful with your blog and, in some ways, it may even become more valuable to you than your own home.